Before you apply: decide with the end in mind! If you switch on the TV or check the news online, you will find out that unemployment in the UK is currently 7.9%. 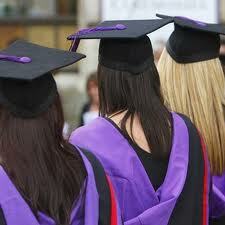 Graduate unemployment has risen to 20% (Office for National Statistics). In other words, one in five UK university graduates who entered the labor market failed to find a job. This data is shocking! Now add to the equation that tuition fees will almost triple from next academic year (2012). This means that most of you will need 20-25 years to repay this debt! And when you manage to do it, you will have to start paying for your mortgage. The conclusion is clear. Just having a degree is not enough anymore. You need to get the right degree. It is very difficult of course to predict how the job market will be in 20 years. However, the more time you invest in researching what subject to study, the better equipped you will be to face the reality. Make sure you research a lot before you make the decision. Speak to your teachers, to your parents (unavoidable and advisable), to the friends of your parents, to anybody you think has an interesting job. Read books, read blogs. Ask questions about the good, the bad and the ugly of each profession! It is one thing to study agriculture sciences and another thing to work in a farm (I am talking from experience). Then, put all the info together and decide what to study with the end in mind! It is critical to link education with career. This entry was posted in b4iapply to college, b4iapply to uni, Link education with career and tagged career, decide with the end in mind, link education with career, tuition fees. Bookmark the permalink. 1 Response to Before you apply: decide with the end in mind! Great start. Very motivational and straight to the point. However question may be if higher education is absolutely necessary, or some individuals can be better off with a short course for some skilled trades, for example?